Vote for Your Fan Favorite Horse in the 100-Day Trainer Challenge! It’s the final week of the Prodigious Fund’s 100-Day Trainer Challenge, can you believe it?! 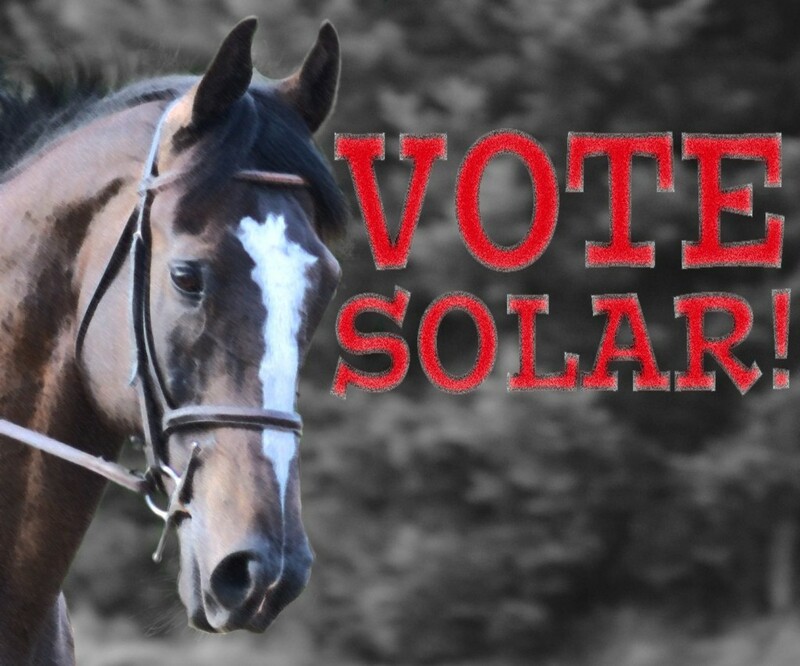 If you’ve been following along with the ex-racehorses during the Challenge, here’s your chance to vote for your favorite! Hopefully it’s Solar, but then again, I’m a bit biased 🙂 You can cast your vote from your computer or mobile device by visiting Emerald Down’s voting page, here. Thank you for taking the time to vote! Solar has worked hard to develop his fitness, skills, and mental game. It’s been my pleasure to bring this horse along in his career, and I’m proud of what he has accomplished so far. I know he has a bright future ahead! I’m also grateful for everyone who read along with this journey, donated time and resources to help, and cheered us on! 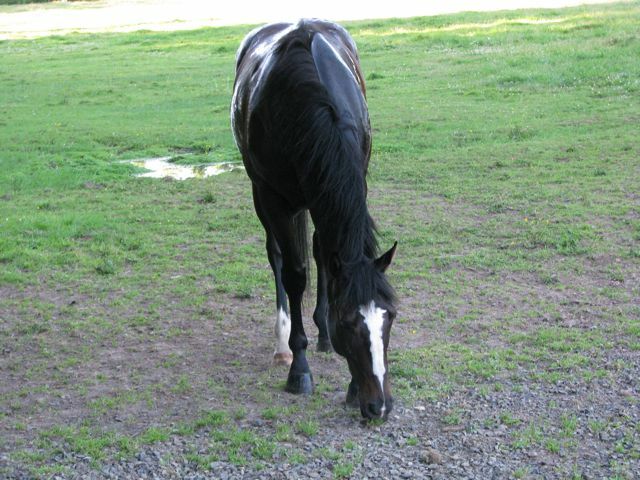 I’m not a full-time professional horse person at this time in my life, and my networks and experience are not as vast as some of the other trainers who are participating in this program. I feel privileged to have been selected amongst this group of accomplished horsepeople, and I’m even more lucky to have people like you to support me. I hope you have enjoyed this process like I have. 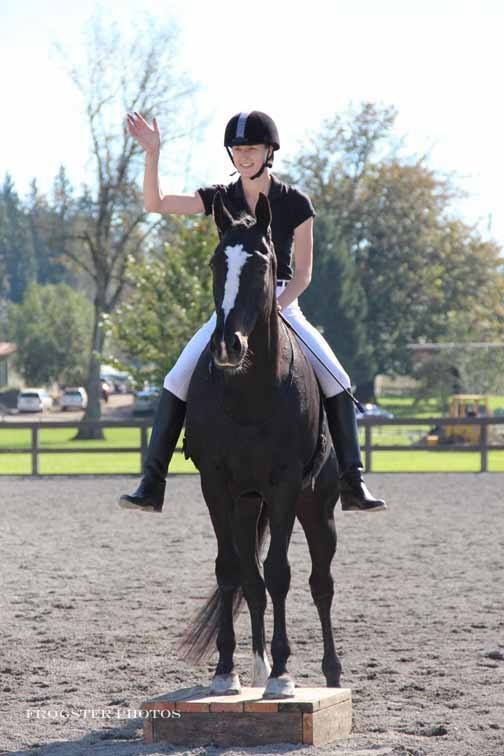 Solar and I are looking forward to showcasing the talent of ex-racehorses on Saturday, October 5 at the 100-Day Trainer Challenge finale in Auburn, WA! You have done such a great job with the Challenge, Chesna. I just finished watching the video you posted today. What a great journey you have taken Solar on. He has had a very well rounded education with you. 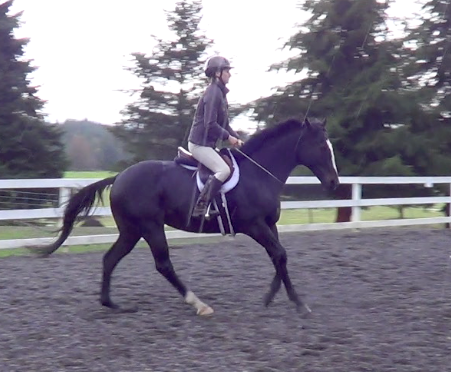 Even if he doesn’t go to an eventing home in the future, he has a skill set that will prepare him for any task he may encounter down the road. Not only have you done an excellent job training Solar, but you’ve also done a great job with your videos, blogs, and updates. Not only were they informative, but they also showed that you and Solar had FUN together. I’m sure he’s going to miss you after the challenge ends this weekend. Thank you so much for your support and for following along here–makes it even more worthwhile to me!